Marshall head coach John Mercer watches his team practice in preparation for the 2018-19 season. 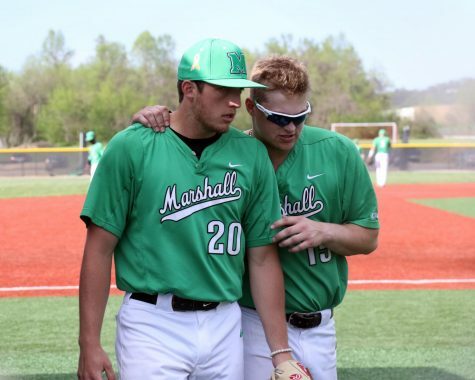 Mercer is Marshall's all-time wins leader with 250. 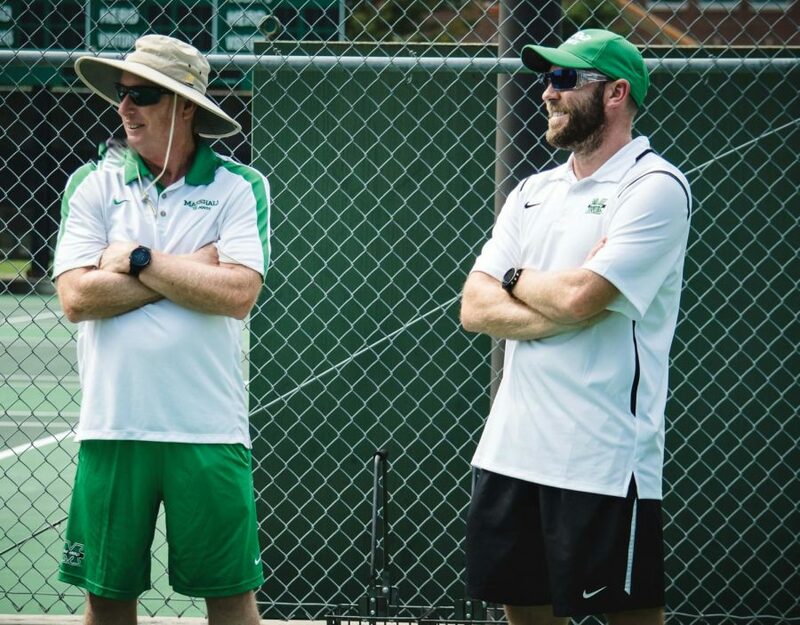 At the beginning of the 2019 season, Marshall head tennis coach John Mercer mentioned having the youngest team in Conference USA. 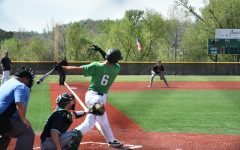 The Thundering Herd, featuring four freshmen in its six-player lineup, is indeed the youngest squad in the 14-team conference. 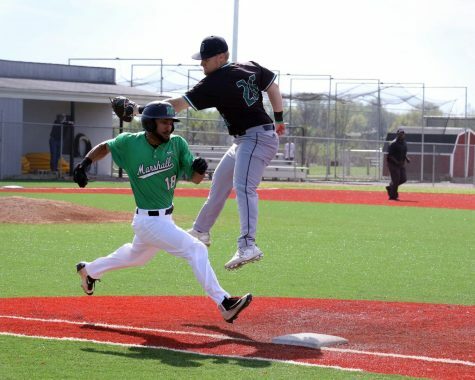 Age, however, did not make a difference in Marshall’s two-game sweep of C-USA opponents Middle Tennessee and UAB over the weekend, with the latter of those two marking career win number 250 for Mercer, the Thundering Herd’s 17th-year head coach. 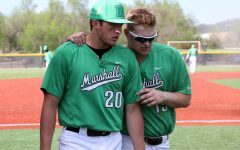 Marshall never trailed in either of the two matches, capturing the doubles point both times. 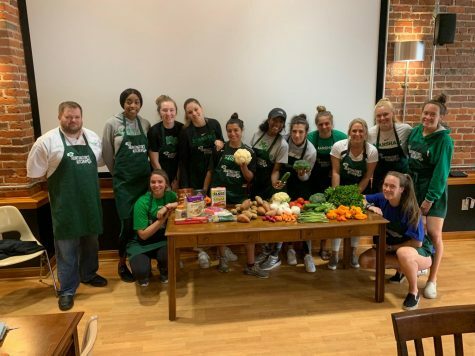 In both matches, the freshman duo of Liz Stefancic and Madi Ballow clinched the point, defeating the Blue Raiders’ Kim Kermet and Luisa Zirilli, 6-2, and the Blazers’ Dominika Hrabalova and Megan Bertrands, 6-1. 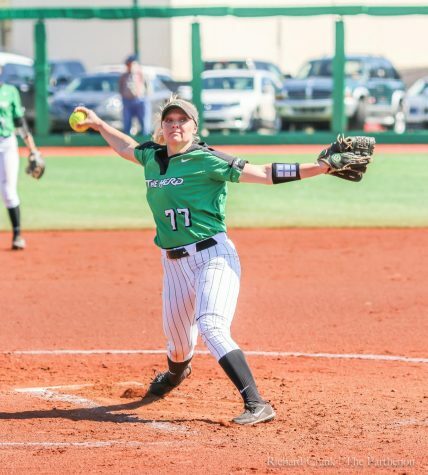 Anna Smith and Daniela Dankanych, the only two players on Marshall’s roster who are not freshmen, also earned a pair of doubles wins against Middle Tennessee and UAB. 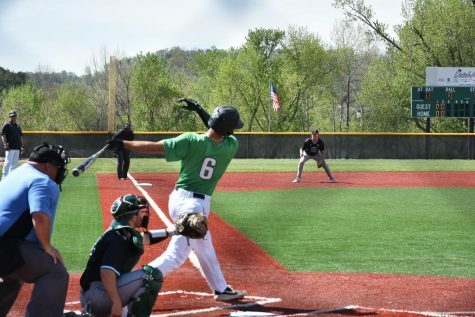 Stefancic proved to be the difference in the Thundering Herd’s match against Middle Tennessee. 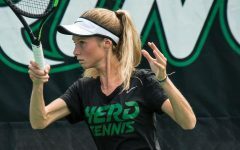 Playing against Kermet, a former SEC player at Tennessee, the Aurora, Illinois, native fought off multiple set points to close out a 6-4, 7-6 win that clinched Marshall’s first Conference USA win of the season, a 4-3 win over the Blue Raiders. 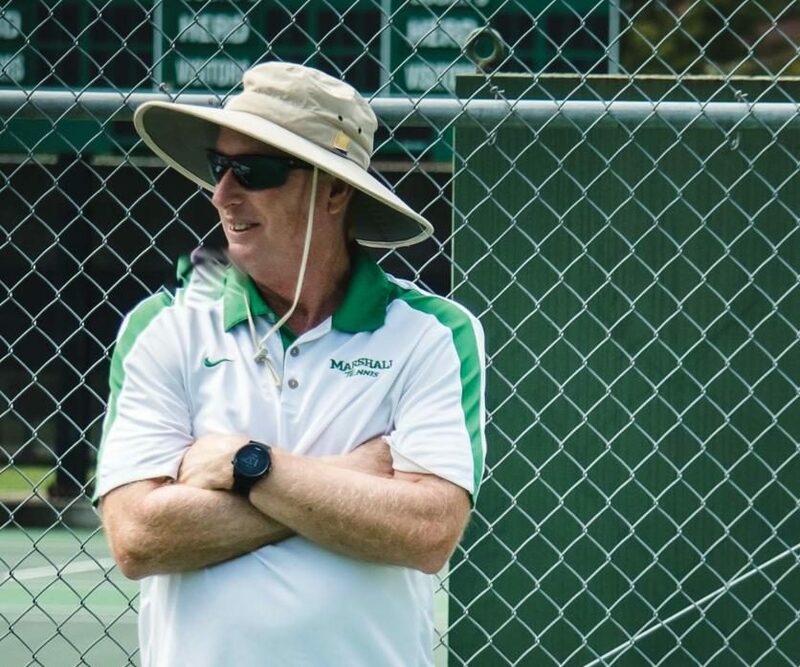 The Herd played a complete match against UAB, dropping just one match in Mercer’s 250th career win. 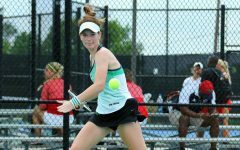 Stefancic and Ballow cruised to straight-sets wins, while Smith and freshman Victoria Walter won their matches in tiebreakers. Stefancic, Ballow and Smith each went a perfect 4-0 over the weekend in singles and doubles play, while freshman Victoria Walter was 3-1 against the two C-USA foes. 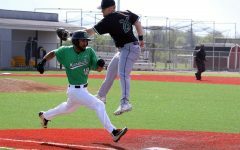 Marshall’s next five matches are away from home, starting with a trip to New Orleans for matches with New Orleans and Tulane. Kieran Intemann can be contacted at [email protected] edu.